What makes Harry Helmet’s surface tension, nose forward design so effective? Since 1981, Harry Helmet has been the choice of homeowners because of our unique Gutter Helmet® gutter protection system. Look at the difference between Harry Helmet and a one piece leaf guard system, and you’ll see the Gutter Helmet® advantage. Let’s use Product B from The Englert Corporation of Perth Amboy, New Jersey as an example of a one-piece gutter system. This company focuses on metal roofing, gutters, and coil coating. It distributes Product B, but it does not manufacture it, so it has much less control over the quality of the product it sells. Independent franchise operators manufacture the product on-site. Their product requires a complete gutter replacement. Gutter Helmet is specifically designed to fit your existing roofing drainage system. With Gutter Helmet®, you know that you’re getting a quality product. Our products are manufactured by the highly-rated SEMCO Southeastern Metals, a Gibraltar Industries Company in Jacksonville, Florida. With state of the art equipment and test laboratory, we know that your gutter guard is high quality because we’ve tested it ourselves. From the raw materials to the finished product, Gutter Helmet’s® production is subject to the highest levels of quality control scrutiny. When you use Gutter Helmet, you know that you’re getting the same price that anyone else would pay to purchase the same gutter system. With Product B, you can’t be sure. Product B has a two-tiered pricing structure, marketing to new home construction builders at deeply discounted wholesale prices and to homeowners at substantially higher retail prices. Everyone who produces gutter protection products likes to state that theirs are the best. You need to check the facts instead of taking these statements at face value. For example, Product B is billed as the number one clog-free gutter product. Let’s take a closer look at that claim. 1. Product B is the number one one-piece gutter and gutter cover combination system, but that’s because it’s also the only product like that on the market. 2. Product B never states that they’ll actually keep debris from your gutters. They offer free gutter cleaning when needed, as long as the original installer is still in business. What happens if your dealer has closed up shop? 3. Since Product B may need gutter cleaning, dealers price their products according to the amount of cleaning the gutters may need. This means that you’ll pay a higher cost if you live in an area with more trees. At Gutter Helmet, you’ll pay one price for your gutter guard installation, and this should prevent the majority of debris from entering your gutters. If there is a problem with our products clogging, you can rely on our triple lifetime warranty to assist you for free. Does Product B Actually Work? 1. When you use Product B, you’ll notice that this product has a continuous 5/8″ vertical opening which allows debris to move into the gutters. With Harry Helmet®, our nose-forward design and smaller 3/8″ gap help leaves and other debris slide right off the end of the gutter cover and onto the ground. 2. Product B claims to be a more effective product because it’s the only seamless cover around. Actually, there are other companies that market seamless gutter covers. When it comes to gutter covers, it’s more prudent to consider a product that comes in five-foot sections like Gutter Helmet. While Gutter Helmet appears seamless, it’s installed in sections. If Gutter Helmet gets damaged for any reason, you can remove and replace just damaged section. With Product B, you’ll need to replace the entire length of the gutter and cover. If it gets clogged, you’ll need to remove a larger length of cover to clean it. Gutter Helmet® works with your shingles to protect your roof. Will Gutter Helmet® Damage Your Roof or Void Your Roof Warranty? Gutter Helmet® works with your shingles to protect your roof. It does not void the warranty on your shingles. Does Gutter Helmet® really damage your roof? No. Our products are designed to protect your roof, not damage it. A Gutter Helmet® under-shingle installation of 120 feet requires only 26 fasteners, all of which are coated with a poly-butyl sealant to permanently protect the integrity of the roof. These sealed fasteners do not de-laminate shingles or damage your roof. Product B installs directly onto your fascia. Far from being an advantage, this can actually be a problem in the long run. Rainwater can get trapped between the gutter and the fascia. Product B installers try to avoid this leakage problem by using caulking to prevent damage, but when the caulk cracks, the water seeps in. What Product Provides Adequate Protection For Your Home? All gutter cover manufacturers make claims about their gutter performance. While Product B states that it can handle 25,000 gallons of rainwater (420 gallons per minute). In reality, the capacity of a Product B gutter on an average 1800-sq. ft. home is only 66 gallons. In fact, Section 1106.6 of the International Building Code defines drainage capacity be gutter size. In many areas of the country, Product B is simply too small for the amount of rainfall the area receives. In some cases, it may not meet local building code requirements. The capacity of one foot of Product B is 0.39 gallons of rainwater, while the capacity of one foot of standard 5″ gutter is 1.20 gallons. 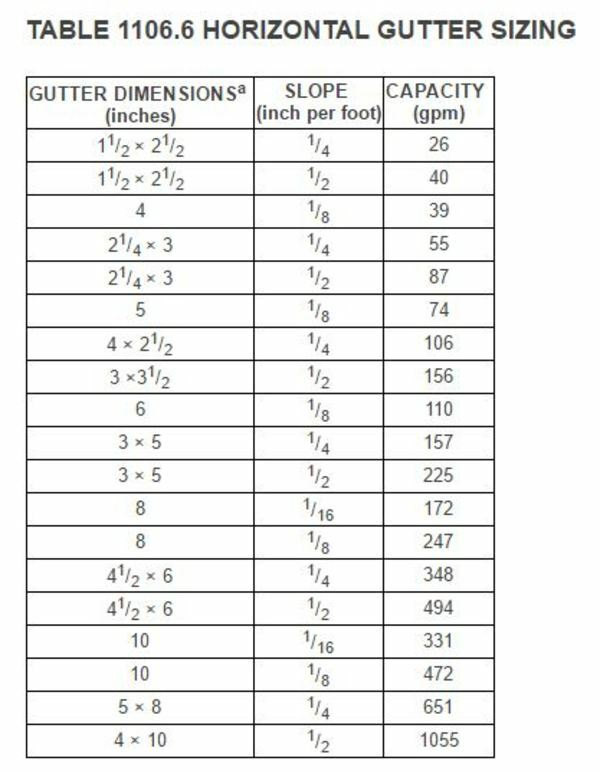 A 5″ gutter handles more than three times the maximum capacity of a Product B gutter, while a 6″ gutter handles more than four and a half times the maximum capacity of a Product B gutter! Even the extra large size of Product B is more than 30 percent smaller than a 5″ gutter. Small gutter capacity can cause problems. In corners and valleys where it’s more difficult to drain rainwater, the water can overshoot the gutters during heavy rain. Because Product B is small, it needs to have additional downspouts. Product B may quote a lower per-foot cost than Gutter Helmet®, but 60 to 80 additional feet of downspouts are usually required for a Product B installation. 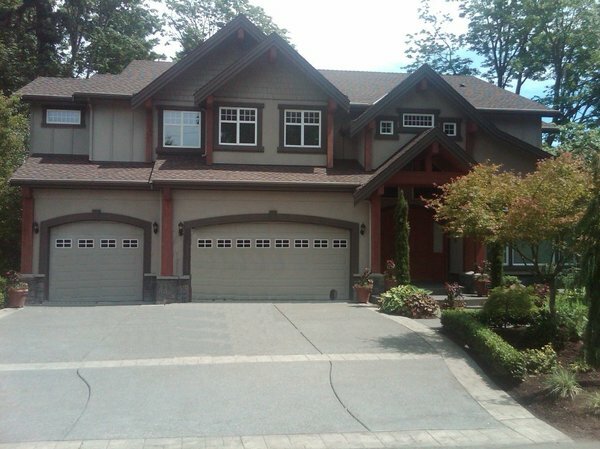 The downspouts often cost just as much as the gutters, inflating the total cost of the project. 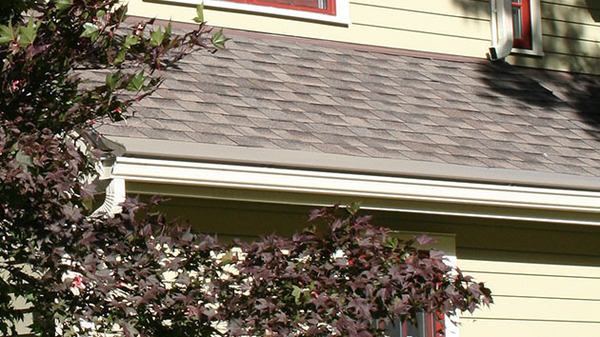 Choose the right gutter covers for your home: Gutter Helmet. Full-sized gutter covers for full-sized gutters, allowing you to move the heaviest rainfall away from your home. A nose-forward system with no vertical openings so debris slides right off your gutter. A textured gutter cover surface that moves water easily over and into your gutter, performing 60 percent better than Product B.
Gutters that can be pitched to provide maximum drainage over a short distance without looking crooked. An exclusive and patented PermaLife™ coating that resists fading, chalking and corrosion. Patented 50-gauge brackets that keep Gutter Helmet strong for years to come. A strong warranty on installation and materials, so that you know that your product will last and that we’ll stand by our guarantee. Our warranty is transferable, so our products add even more value to your home during a home sale.